Nestled in the greenhouse with three chickens the howling wind outside on this damp January day isn’t bothering us much at all. It is positively tropical 10 degrees in here and fairly dry. The girls are waiting patiently for me to throw them either a succulent bug or a sprig of chickweed – both as alluring as the other. 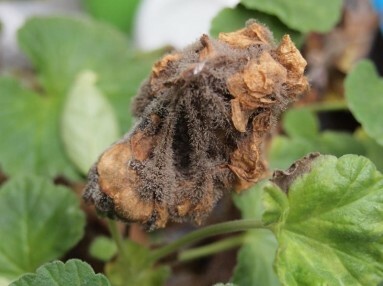 The new year has begun and the Christmas festivities are over – I am severely overindulged and itching to get back outside – and the greenhouse is overdue some attention.Sadly this winters mild climate has caused countless fungal problems – for us at Woottens and at home it is the dreaded ‘Botrytis‘ – or grey mould as it is commonly known. Make sure they have adequate air flow, open greenhouses or polytunnels everyday especially after watering. Ideally a minimum air temperature of 2+ degrees outside is required for this. 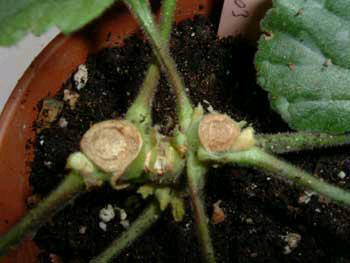 Remove any infected leaves – when doing so leave 1/2 petiole (stalk) remaining, this will die back gradually without causing damage to the main stem. Remove any large leaves that are restricting air flow using the same method as above. On the nursery we remove nearly all our Pelargonium leaves in November to improve air circulation and inhibit diseases spreading. Try to avoid damaging or cutting into stems this will only leave a wound for infection to enter in through. However if you need to cut off existing infection then cut back to green healthy stem and paint the cut with neat bleach (using a clean brush), this dries the cut out quickly and seals the wound. Around the base of the plant remove a small amount of compost – this top crust often stops water penetrating, harbours overwintering insects and eggs and is littered with dead foliage. 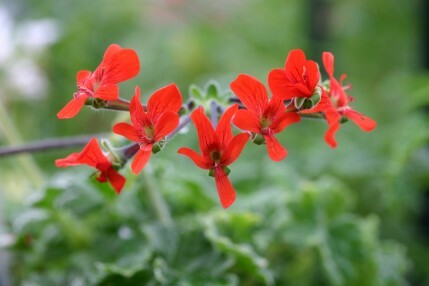 Remove any flowers – even though its lovely to see Pelargonium flowers in January, forcing your plants to flower all year will stress and exhaust them. Give them this respite to go into part dormancy when you are not around to appreciate them showing off! Rotate plants around the greenhouse – I am always doing this, its great for rotating plants out of cool areas or drafts. Also however evenly I try to water some areas remain wetter than others so rotation evens this out. Most importantly picking up your plants forcing you into observing them, checking them thoroughly and discovering any nasties lurking underneath the pot. 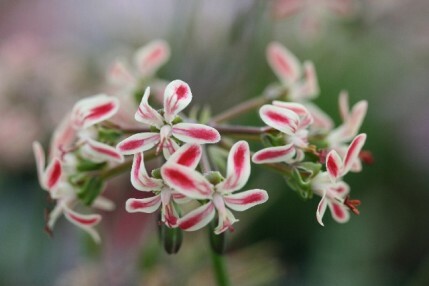 Some species Pelargoniums such as P.fulgidum and P.echinatum put on excessive green growth in the winter months. This is very aesthetically pleasing but can cause problems. The young growth is highly susceptible to pests and diseases, lush and full of sugars that aphids and caterpillars see this as a welcome meal. The growth is often weak and fleshy and any ideal home for funghi. It again stops airflow and can cover neighbouring plants shading them from sunlight. Keep these larger leaves in check, remove where necessary.